In the daily news you hear a lot about Israel, mostly about the not-so-enjoyable things that happen in their country or on the borderline with their neighbor territories. However despite the headline-stories about war scenes, rocket alerts from Gaza or the recent knife attacks from Jerusalem, I was always intrigued by Israel, even though I absolutely didn't know anything about the country. An israeli friend from Germany told me about the "Purim" holiday that takes place between the months of February and March every year. You can compare it to the carnival from Germany, where people get dressed up in costumes and go out partying in the streets. Even the religious citizen are allowed to get totally drunk during Purim. It's supposed to be the most funny and exciting holiday of the year. To me, this sounded like the perfect time to visit Israel. I do love the nightlife when traveling, and I love meeting new people who can update my knowledge about their country's culture. Just for your information, most European citizen don't need to apply for a visa. And you don't get to fill out any papers on board. Just pass the passport-control, where you will be asked a couple of questions and that's it "Welcome to Israel". I remember that the people inside the airport and at the train-station were very very welcoming, and helpful to get me on the right train. When I was about to get out at the "HaHagana" train station. I noticed the luggage scanner &metal detector at the entrance of pretty small train-station. Outside one single person was guarding the entrance, while holding an automatic rifle. I figured out that the Israelis take their daily safety-precautions seriously. Prior my trip to Israel, I decided to book 5 nights in Tel Aviv, and then moving on to Jerusalem for 2 more nights. Knowing that "Purim" was taking place, having been informed about "Shabbat" (the 7th holy day, where public transportation isn't available), I decided not to rush. However in my upcoming post about Jerusalem I will tell you, why it was a rather bad decision to spend more time in Tel Aviv than any other israeli cities. Tel Aviv is supposed to be very famous for its liberal vibe, fantastic nightlife and apparently it has a worldwide positive reputation in the gay-scene. I don't want to consider Tel Aviv straight up as an unattractive city. However in my own personal oppinion, there's not much to do in the city. As a travel-photographer I do love to take photos that shows the very unique culture of a country. I wanna take portaits of local people, of food, of eye-opening architecture. So that I can bring up the special vibe & flair of the place i'm visiting. The vibe of Tel Aviv was definitely not easy to capture on photos or videos. 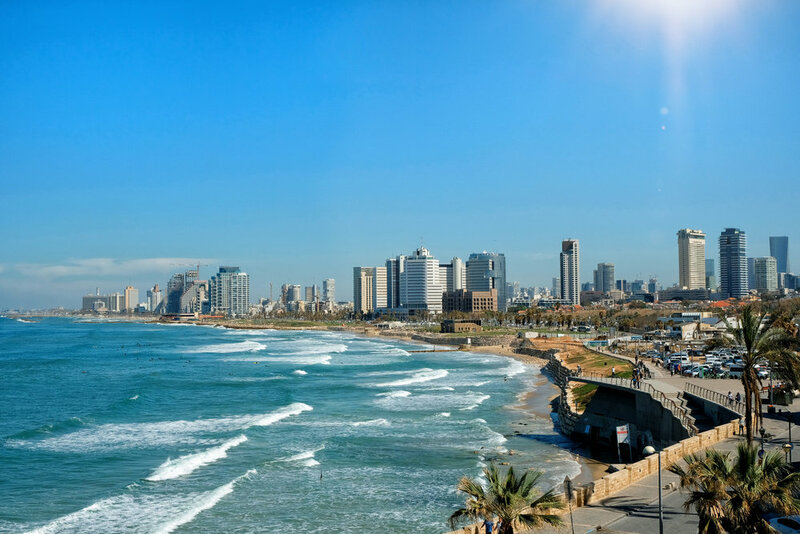 The shore of the city was definitely one of the attractive spots of Tel Aviv. Just along the beach-walk you would bump into all kind of people: tourists, sporty locals, fishermen, surfers & the older generation chit-chatting on a bench. Walking the beach-walk up north will lead you to a boring lighthouse. 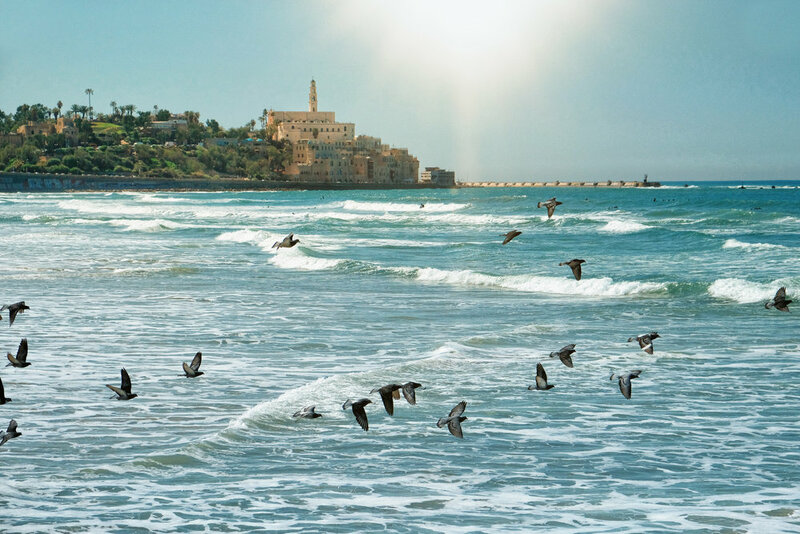 Walking south-wards will lead you to Jaffa, the muslim Oldtown of Tel Aviv. I really liked spending time in Jaffa, it's a rather small neighborhood. The Old Town definitely differs from the rest of Tel Aviv's architecture. You can notice its muslim influence. Walking away from the coast will bring you the flea-market. It's rather a mix of flea-shops and flea-stalls. Just next to it, you will have an endless selection of restaurants and bars. Both really look very inviting with lots of colors. However during "Purim" only a very few ones were very busy in the evening. I can't complain about the food, every single food I had in Israel was super delicious. By the way, just in case you wouldn't know (I didn't): Israel is supposed to be the "mecca of veganism". Israel's people (the jews & muslims) do cook a lot of vegan dishes. SAROMA MARKET was one of the few fancy places I discovered in the city. 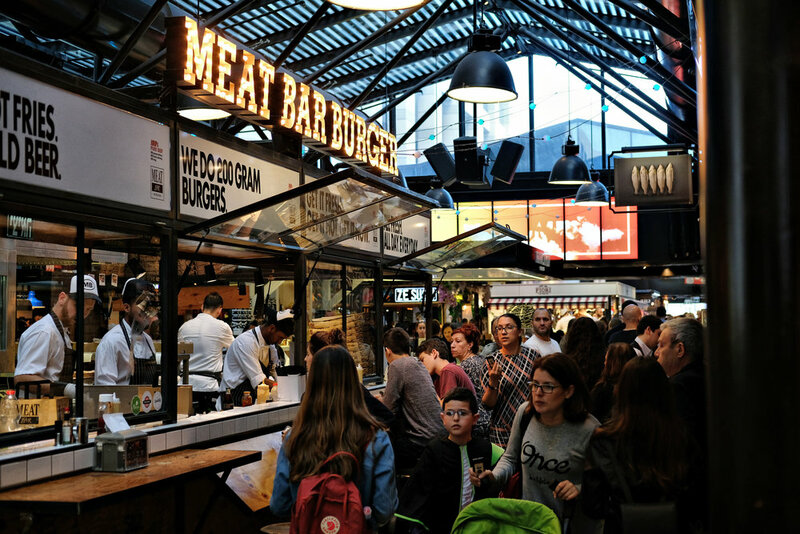 The indoor-foodcourt offered every kind of food, from morrocan pitas, to sushi, to italian pasta. 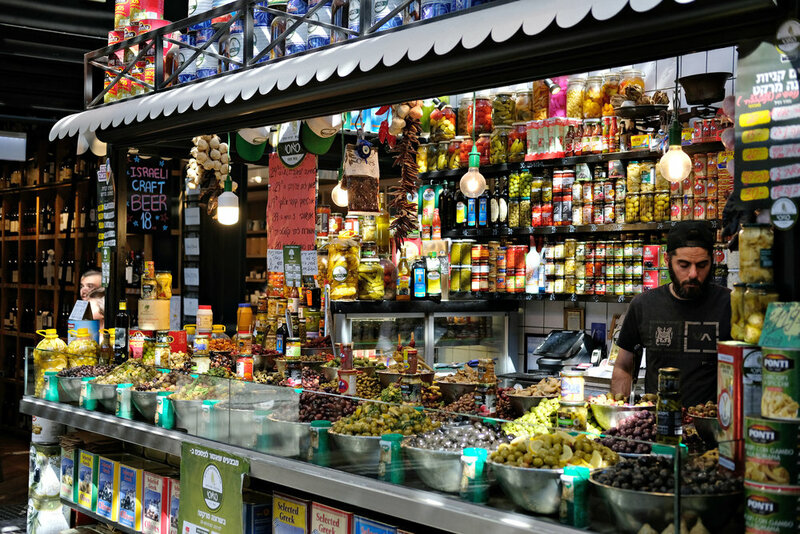 I loved the colors and the touch of industrial-vintage-modern design of the market. Right outside of the foodcourt is an outdoor shopping area, it's a mix of parks, playground and fashion shops. SAROMA was a pretty area compared to the worn down houses of the Florentin neighborhood that I passed through every day. BEST RAMEN OUTSIDE OF JAPAN. I love ramen, I tried so many ramen soups, when traveling I love discovering new ramen places, it's all about ramen. All I can tell is that I had a WONDERFUL ramen at the ramen-shop right next to my hotel "Hiro Ramen Bar by Aharoni". Yisrael Aharoni is an israeli celebrity chef. There are two of Aharoni's ramen restaurants in Tel Aviv. Don't miss the opportunity to get some mouth-watering japanese dishes. I tried'em all, from salads, to gyozas, to japanese-oriented cocktails. I spent 5 nights in Tel-Aviv, which means I had 5 ramen in total at Aharoni's place! What really surprised me, was the fact that everything is pretty expensive in Israel. Restaurants aren't cheap, booze ain't cheap at all, which means the israeli nightlife experience can have a heavy toll on your wallet. I spent my holidays in the well-known hostel "Abraham Hostel" in Tel Aviv. Even at the hostel's bar you would easily pay 7-8 €/$ for a glass of wine, Gin&Tonic were about 10 €/$ for the cheap-brand-cocktail. Kuli alma is a very arty cafe/club, colorful walls, stickers and posters all over the place. The crowd is pretty hip, and they still offer fair prices on drinks. The music varies from electronic to hiphop. Definitely a place to stop by for a drink while doing a pub crawl with friends across the city. Buxa a small bar/club in a basement, which got a special vibe. We had a hell of a night during Purim. The tiny size of the club makes it pretty easy to bump into people and start a chit-chat. It's right on Rothschild avenue. Radio is another basement bar. We were there for a hiphop night, great music & lovely outgoing people. I really loved the place. The dimmed lights in the club and people dancing all over the bar gave this place a really welcoming vibe. Loved it! Many israelis told me that JIMMY WHO wouldn't be a cool place at all. I was visiting JIMMY WHO on a wednesday, it was my last night in Israel. I LOVED it. Around 22:00 (10pm) they had a funky live band playing pop & soul music. After the show the DJ played some dance music... the whole bar packed with people and too many pretty women. I was doing a pub crawl with the hostel, and was disappointed that we left too early for the next bar. The only negative part were the prices, we paid almost 20$/€ for 2 shots of Vodka. Definitely not the place where you wanna get wasted. Even though I didn't enjoy the city that much. I would give it another try though and turn back during the winter season. The weather was lovely every single day, t-shirt weather in the afternoon, sweater temperatures in the evening. 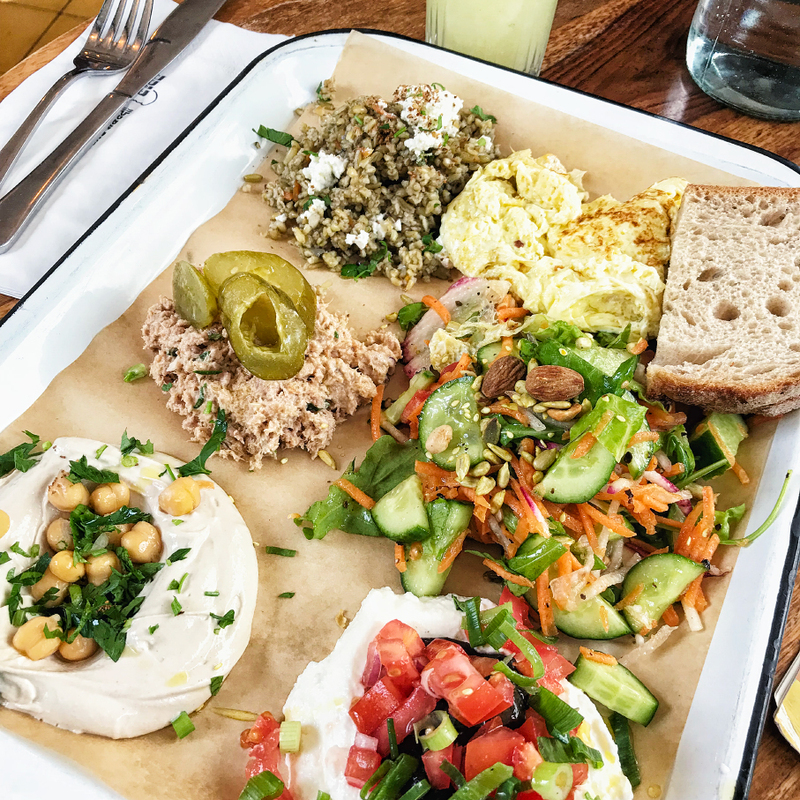 The food discoveries were definitely my highlight in Tel Aviv. 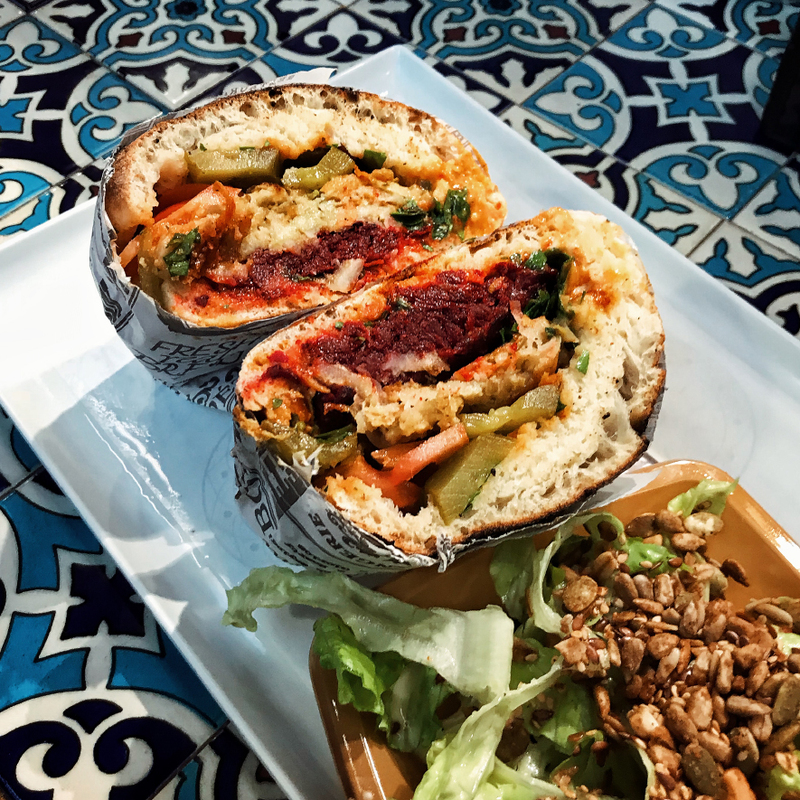 Go for Falafels, Tahini, Shakshuka, ... you will never get tired of the mediterranean/arabic food culture. I loved "SABICH" pitas, it's a grilled pita bread filled with eggplant, tahini, hummus, 2 hardboiled eggs and a diversity of prickles. Yum! Their pastries, a fest! I stayed at the Abraham Hostel in Tel Aviv, and the one located in Jerusalem. Abraham-hostel offers their own tour-service called "Abraham Tours", where you can book pretty interesting and affordable day trips or city-activities. One of the cool features, was the shuttle from Tel Aviv's hostel to the Jerusalem hostel. No need to get your luggage to the next bus-stop or train station. I will post a more in-depth review about the hostel and my booked Abraham-tour in a couple of days. Jerusalem was definitely on the winning side of my trip. Keep your eyes open for my next post about the capital of Israel. Newer Post4 Nights in Bangkok. Older Post8 days in Havana.